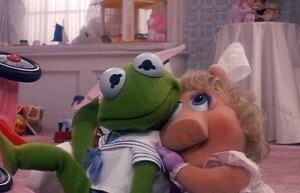 Baby Kermit and Piggie. awwww. Wallpaper and background images in the The Muppets club tagged: jim henson walt disney muppets muppet babies miss piggy kermit. awww! i just wanna kiss 'em!!! !